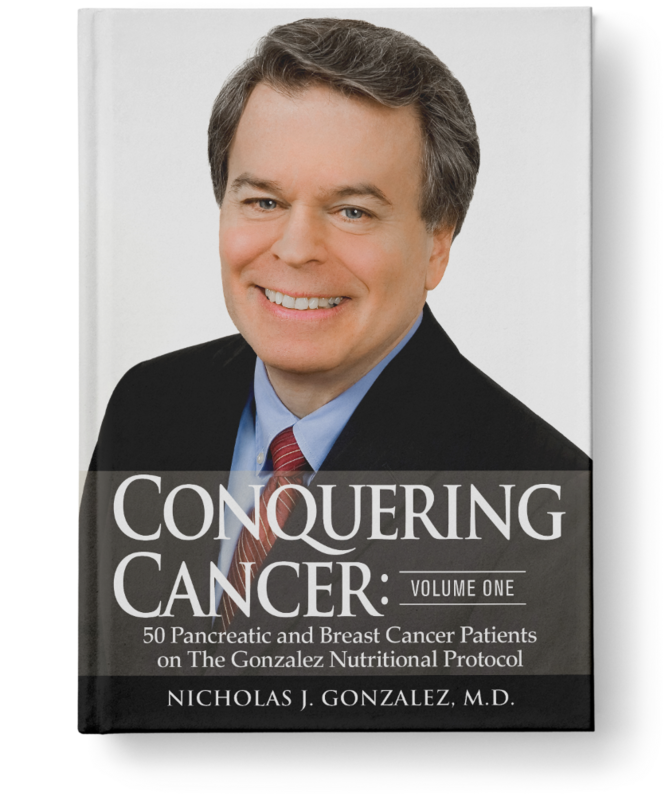 Although Dr. Gonzalez’s published research deals with pancreatic cancer, in his office he treated patients with all types of cancers. Dr. Gonzalez also treated patients with a variety of other problems, ranging from chronic fatigue syndrome to multiple sclerosis. Each treatment protocol is individualized for each patient, regardless of the underlying problem. 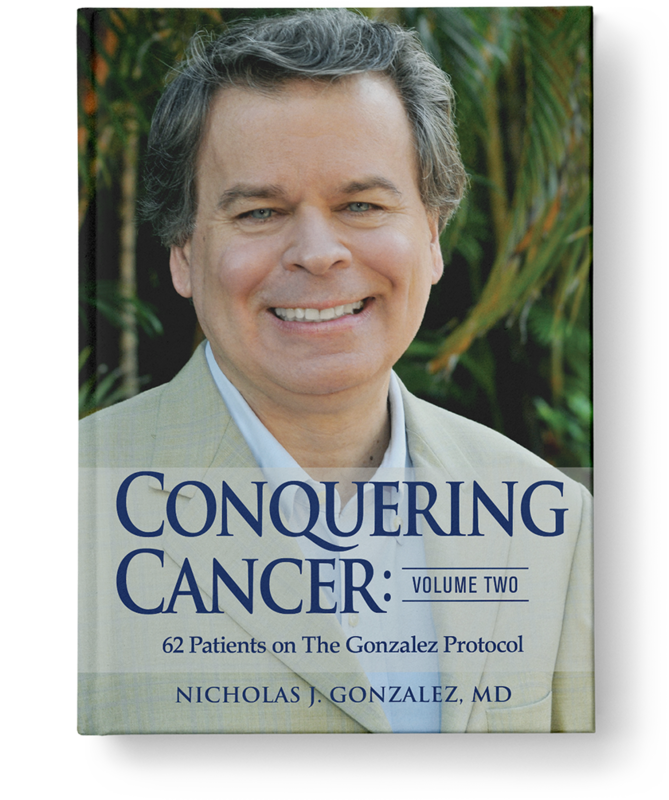 The Gonzalez Protocol® can be broken down into the following basic components: diet, supplements (with pancreas product for cancer patients), and detoxification routines such as coffee enemas. Diet: The prescribed diets are quite variable and can range from nearly vegetarian to diets requiring red meat 2-3 times a day. Each patient receives individualized dietary recommendations. All the diets, however, require that the patient consume primarily organic foods, make and drink fresh vegetable juice, and avoid synthetic and refined foods such as white flour and white sugar. 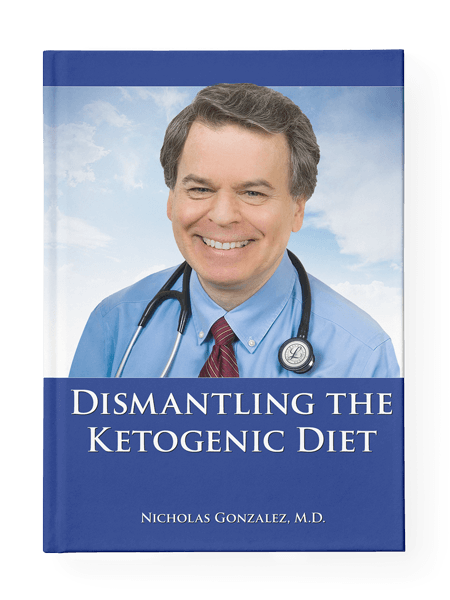 (A more detailed explanation of the rationale behind the diets can be found in the interview from Clinical Pearls News, or in an article from TotalHealth Magazine). Supplements: Like the diets, the supplement protocols are individualized for each patient, depending on their health problems and biochemical makeup. The prescribed supplements include a variety of vitamins, minerals, trace elements, anti-oxidants, animal glandular concentrates, and other food concentrates. Pancreas Product (For Cancer Patients): The main anti-cancer supplement is a specially manufactured pancreas product (containing naturally occurring enzymes) made from pig pancreas. Click here to read more about the rationale for this. Cancer patients on this regimen take up to 45 grams of pancreas product a day, taken orally and spread throughout the day. The pancreas product Dr. Gonzalez used was developed by him specifically for use in his program. Contact us for more information. Overall, cancer patients consume 130-175 capsules a day, including nutrients as well as pancreas product. Non-cancer patients might consume in the range of 80-100 capsules a day, the exact number depending on their health status and medical problems. Detoxification: On this therapy, patients; whatever their underlying problem; routinely develop a variety of symptoms, most commonly described as flu-like; such as muscle aches and pains or malaise. He hypothesized these symptoms result from the body’s repair processes which release all manner of waste material. Detoxification refers to procedures such as the coffee enema, which are believed to enhance liver function and in turn, the processing and excretion of metabolic wastes. The coffee enemas are done twice daily, and patients most commonly report symptomatic relief. Dr. Gonzalez’s patients complied with all three areas of the treatment for the greatest chance of success. Hear Dr. Gonzalez explain his treatment Listen to Audio Recordings or order a Lecture CD or DVD. 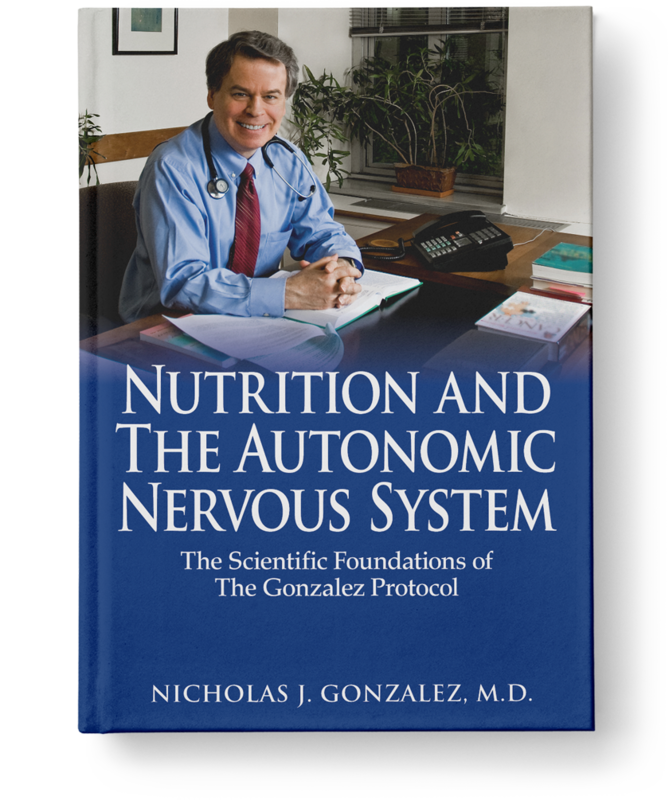 Books by Dr. Gonzalez Click here to see what’s available.